Like any good story / essay / poem, Jeanne is always on the look-out for surprises and connections. This drives what happens in her classroom, and it has sent her traveling all her life. She was twelve when her family moved to Germany. Three towns later, she finished high school there. In her twenties, she lived in Virginia, Taiwan, Ohio, Iowa, and Japan. Summer seminars for college teachers have sent her to UCLA, the University of Michigan, Northwestern, the University of Hawai’i, and Harvard’s Center for Hellenic Studies in D.C. During time off from Hollins, she has done grant-funded work in west China, Taiwan, and north Japan. Jeanne enjoys walking trips in Europe, and short hikes in the Appalachians. Like any good reader of stories / essays / poems, she aims for the bodily experience of language, and attentiveness to silences. Her admiration for the creative energies of Hollins students is unabashed. "Why We Make Gardens (& Other Poems)," Mayapple Press, 2010. "Willow, Wine, Mirror, Moon: Women’s Poems from Tang China" (translation), BOA Editions, Ltd., 2005. "Bronze Mirror," Henry Holt, 1991. "Silk Road: a novel of Eighth-century China," Henry Holt, 1989. "Engendering the Word: Feminist Essays in Psychosexual Poetics" (coeditor), University of Illinois Press, 1989. "Brocade River Poems: Selected Works of the Tang Dynasty Courtesan Xue Tao" (translation), Princeton University Press, 1986. "James Cook in Search of Terra Incognita," University Press of Virginia, 1979, 1980. Jeanne is the author of three books of poems, What Penelope Chooses, James Cook in Search of Terra Incognita, and Why We Make Gardens; three print novels, Silk Road, Bronze Mirror, and Manchu Palaces; an e-novel, Sally Paradiso; two books of translations, Willow, Wine, Mirror, Moon: Women’s Poems from Tang China and Brocade River Poems: Selected Works of the Tang Dynasty Courtesan Xue Tao. She coedited Engendering the Word: Feminist Essays in Psychosexual Poetics. 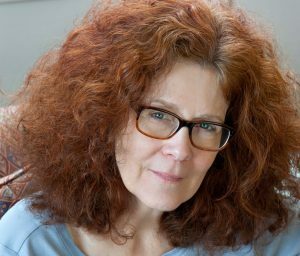 Jeanne is the winner of many grants and awards, and her creative nonfiction, critical essays, poems, poem translations, and short fiction have appeared in journals nationwide.